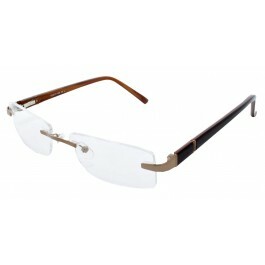 Rimless frame with a rectangular shaped lens- A style that suits most people. Sturdy rimless frame with a rectangular lens, and spring hinges. A modern rimless frame with a pretty multi-coloured detail to sides.